Where: A night of roomate bonding!! Girrrlllsss night! Today was such an awesome day! Me and my roommate spent a lot of time together, which we usually don't since we are both so busy. It was fun to be able to speak with a girl friend and talk about girls stuff. We spent the night watching a chick flick (I loooovee romantic movies) and eating popcorn... It was a ladies night, a night without the boys just to have girlie fun! 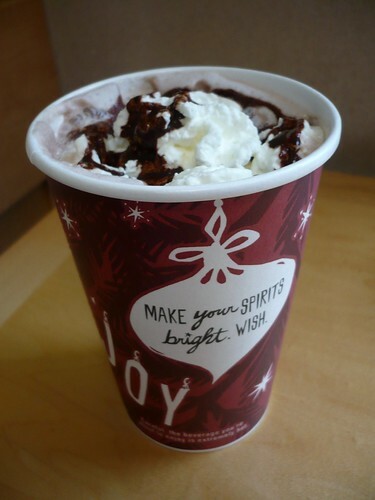 I also got to drink a warm and delicious hot chocolate in the cold rain... it was great! 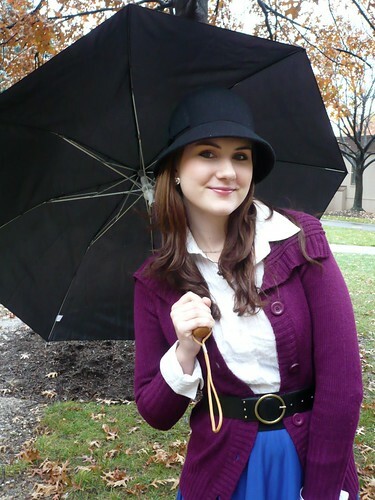 In terms of the outfit, I was surprised to see it rained today so I just put this together at the last minute. 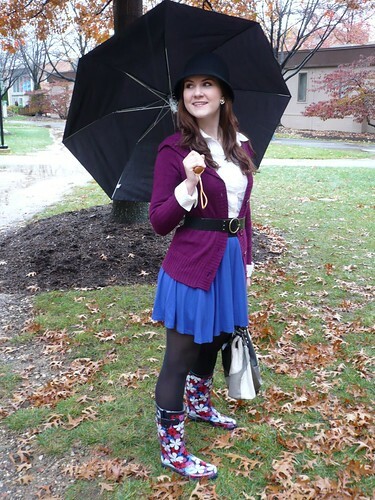 Purple & blue is becoming my go-to color combo... and it really went good with the rain boots, so I couldnt resist. 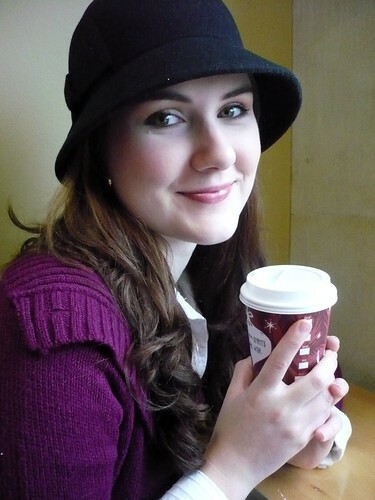 I was nice and warm with this lovely purple knit jacket, and the hat just made the entire outfit cuter. I even got a compliment today! A lady came up to me and said: You look so cute! Weeeee, today was definetly a great day! it's always nice to have a girl's day out:) ur rain boots are so fun! Adorable! Purple and blue really suit you! What a great color combo for you. Purple has to be your best color against your skin. 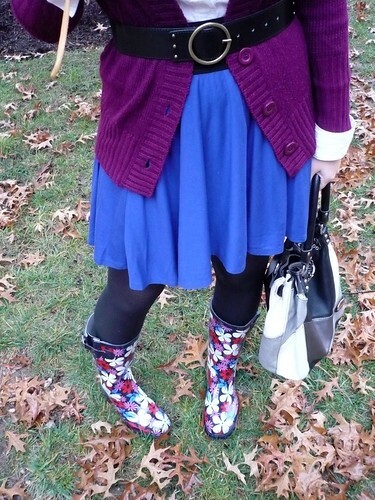 The rainboots are so happy and bright. 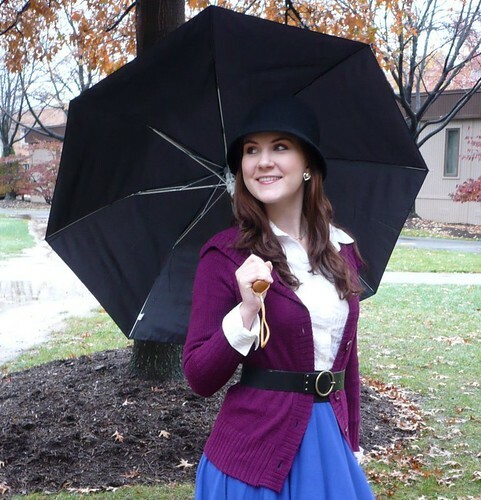 This outfit makes any rainy day better.